I fondly remember receiving Karen’s (aka The DIY Addict) direct message on Instagram about her templates. And feeling completely honoured that she reached out to me. Wanting to help her out and play with some fun hexies. And then immediately being concerned about timelines! I know how time-consuming hand piecing can be for me. I’m not a speedy hand sewer; for me hand sewing is all about slowing down and enjoying each stitch. Speed is not the focus here. She assured me the idea was to have fun and test drive them. Concerns alleviated, I was so excited to realise that I was about to start my first English paper pieced quilt journey!!! How freakin’ cool! And, terrifying! That’s a lot of cutting. Lots of basting. A whole heck of a lot of hand sewing to commit to, but I was intrigued too. Before even getting started, I had to figure out which version I wanted to make. 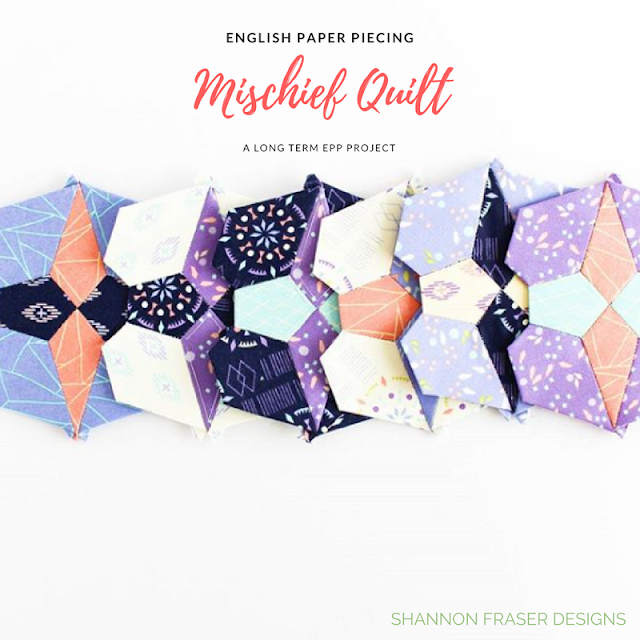 The Mischief Quilt kit comes with everything you need and includes instructions for 4 variations. I opted for variation 1, because, well, it just caught my eye and I liked the central star. But it also means that this kit can keep me entertained for years to come – love that! My design process can be quite flexible. I often design as I go. It can be a jumping off point that I’m so inspired by, that I just go with that feeling. That’s kinda what happened here. I had some scraps (gosh, a lot of my quilting stories start with “I had some scraps”!) 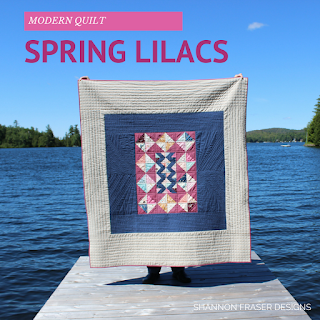 leftover from my Kaleidoscope Festival Quilt and Peaks & Valleys Table Runner projects. And I was really bummed to have to give those back to Camelot Fabrics! I absolutely adored this collection. The geometric nature of the prints paired with the soft lilac and cream shades, with some bold accents of indigo. So much so, that I already made some heart appliqué quilted mug rugs. And the rest I’ve been hoarding for a future special project. 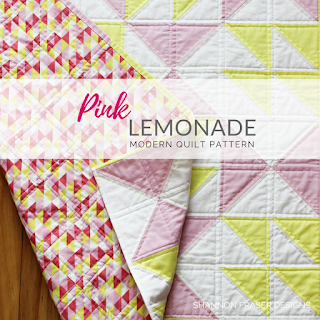 And the Mischief Quilt is just that! I know I don’t have enough Kaleidoscope scraps to make all 100 central stars. And that doesn’t even count the complimentary stars and hexies to join everything together. Eek! That’s a WHOLE lot of pieces. So, for now, I’m just taking it one day at a time. I’ll see how far these scraps get me and then I’ll re-evaluate at that point. This is a long-term project. I can’t go too crazy lest my tendinitis flares up again. And I really don’t want that. These little pretties are getting created whenever, wherever I can and feel like it. How’s that for no pressure, just enjoy the process kind of project! Yasss. Before I even got started looking at my fabric stash, I checked out all of the video tutorials Karen has shared on her YouTube channel (watch them here). I highly encourage you to check out her templates and tutorials, she gives such amazing tips to make your EPP experience as stellar as possible. Seriously, she’s pretty awesome! I tried thread basting my pieces. And it works quite well. But I kept hearing all the fuss about glue basting and I was intrigued. Having received my Sewline Glue Pen for Christmas (you know you’re hooked on quilting when notions pop up on your wish list!!) I was primed for my first session. OMG, what an awesome little tool she is. I can glue baste much quicker than thread basting, and, wanting to save my hand sewing for the joining, I figured glue basting was a no brainer. After my first few stars, I went into assembly mode cutting up the fabrics and glue basting several stars at once. I couldn’t imagine sitting down and just cutting 100s of little pieces. But doing it in batches where I was only cutting about 10 stars at a time, it felt less daunting, more manageable and would keep the boredom of repetition at bay. Here’s a little sneak peak at of my assembly lines. Sewline glue pen – this thing just rocks! So far, I’ve got one row done (10 per row)! And that’s taken me…well, let’s not focus on how long it’s taken me – ha! The point is, I’m having fun and enjoying the process. That is, after all, the most important bit – right?! I so admire my quilty friends who seem to be able to whip up EPP blocks in no time flat, but instead of getting discouraged by my slow progress, I prefer to look to them for inspiration that I too, with time, will improve my EPP game. In the meantime, I hope this post inspires you to take on a long-term project and encourages you that there is happiness to be found in taking your time, not rushing, and just enjoying the quilty journey; at whatever pace suits you best. Have you got a long-term project that you’re working on? I’d love to hear about it! I have felt very discouraged by the thought of the time investment in EPP as well, and I love that you are honest about it and jumped in anyway! This is stunning and it will be nice to see the project grow for you.